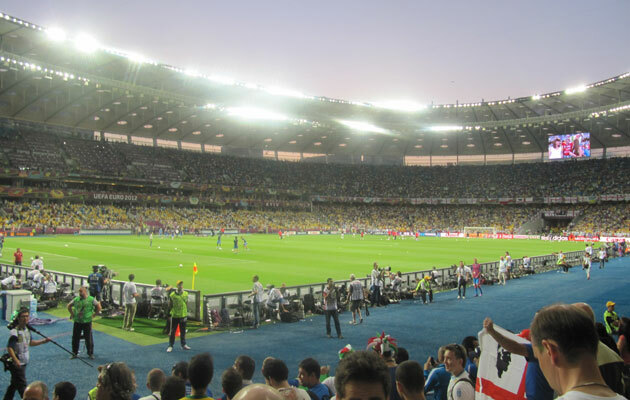 The Olimpiyskiy National Sports Complex Kiev was the centrepiece of Ukraine's bid to host Euro 2012. 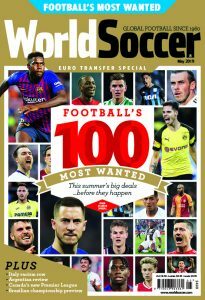 Kiev is one of 125 soccer cities featured in Libero, the digital travel guide for football fans. 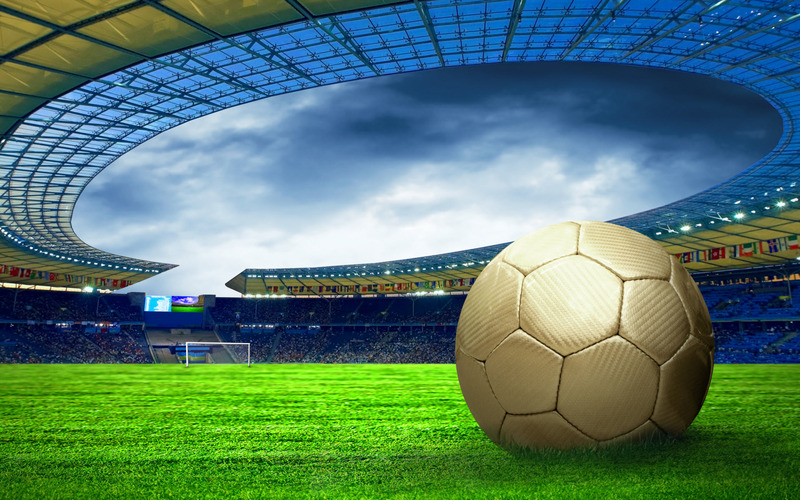 Regularly refreshed with new destinations and the travelogue Soccer Sagas, Libero is a one-click treasure trove of football trip tips, tales and trivia. See www.liberoguide.com. 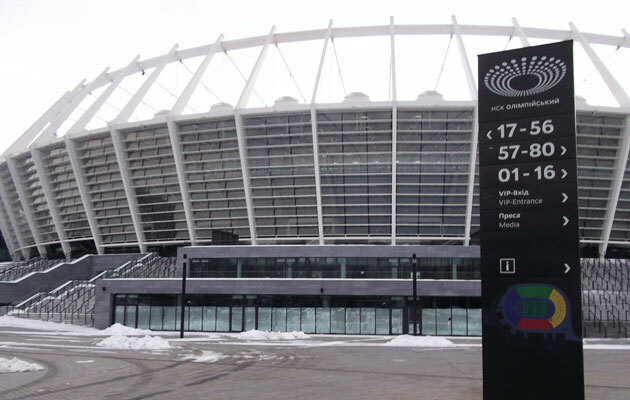 The most successful team in the history of the Soviet and Ukrainian leagues, Dynamo Kyiv play at the Olimpiyskiy National Sports Complex – the former Respublikansky, scene of the club’s greatest triumphs and European runs from the 1970s to the 1990s. Dynamo have since been usurped by Shakhtar Donetsk, champions for each of the last five seasons. While Donetsk remains a war zone, Shakhtar still managed to romp home ahead of the pack in 2014. Dynamo finished out of the top three for the first time since Ukraine gained independence in 1992. On the plus side, former Dynamo (and Tottenham) forward Serhiy Rebrov is now coach – he was still caretaker when Kyiv beat Shakhtar 2-1 to win the cup in May 2014. The turmoil in Ukraine began with protests on Kiev’s main square – close to the grand colonnaded entrance of the Valeriy Lobanovskiy Dynamo Stadium, which suffered serious damage. Nearby, Ukraine’s national stadium, completely rebuilt for the successful hosting of Euro 2012 – how long ago this seems now – continues to host the home matches of flagship club Dynamo. Plans to overhaul the Soviet-era smaller Dynamo Stadium have been put on hold. Host of Spain’s last major triumph, the Euro 2012 final against Italy, the 70,000-capacity Olimpiyskiy has a history as patchwork as the nation it serves. It was conceived in 1923 and overseen by Lajos Gavró, a Hungarian expat and editor of underground publication ‘Hammer & Sickle’, illegally distributed in Budapest. It is Gavró, the then regional military commissar, who is thought to have named the new venue the Leon Trotsky Red Stadium. By the time the stadium took shape, centrepieced by a football pitch and surrounded by a running track, Trotsky had been airbrushed from Soviet history. Local teams, most notably Zheldor, played here from the mid 1920s onwards. A decade later, Kiev’s new-found role as capital of the Ukrainian Soviet Republic was the impetus behind the creation of a grander arena and the equally new name of ‘Respublikansky’, which the stadium bore until recent times. Thousands of Kievites provided free labour in its construction. To be named in honour of later Soviet leader Nikita Khrushchëv, the 70,000-capacity venue was given the date of June 22 1941 for its inaugural match – the very day Hitler invaded the USSR. Locals were said to have kept hold of their tickets to be used for the rescheduled match with CSKA after the war. Occupying Nazi forces tried to have the stadium opened as a symbol of a return to normality, but the official unveiling came almost exactly three years after the original one, when CSKA beat a newly liberated Kiev 4-0 in 1944. 1941 tickets were still valid. Reconstruction continued in the late 1940s and 1950s. The stadium lost its Khrushchëv tag after the Cuban Missile Crisis of 1962 and was expanded to accommodate 100,000 fans to mark 50 years of the Soviet Revolution in 1967. 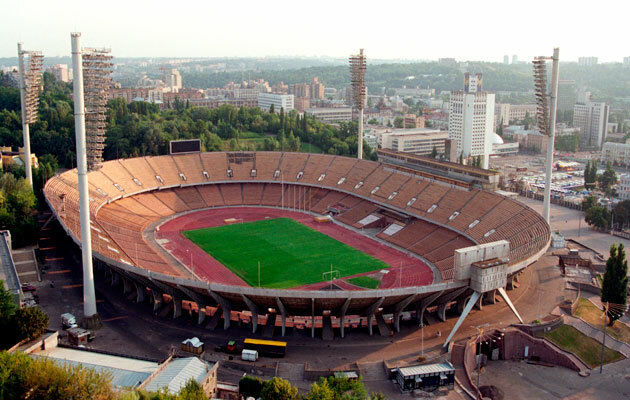 Ten years later it was further improved to host football matches as part of the 1980 Moscow Olympics. 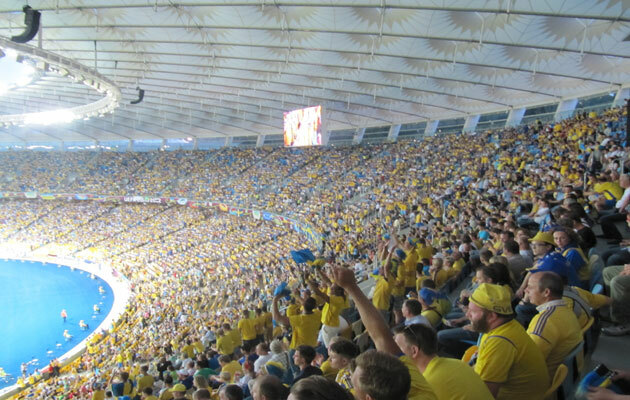 After Ukrainian independence, individual seats replaced the wooden benches to reduce the capacity to 83,000. Work on a new complex began in 2008, after the shock decision to award Euro 2012 to the Ukraine and Poland. As well as a sports bar/restaurant and museum dedicated to Dynamo, the main new features include a glass façade around the exterior and new roof. The stadium is divided into four colour-coded areas: blue (B) and yellow (D) behind the north and south goals respectively, red (A) and green (C) over the sidelines. The main A stand, on the west side nearest to the Sport & Beer bar/restaurant and Olimpiyska metro station, contains the business and VIP seats. Even numbers are used on the upper of two tiers, odd ones on the lower. 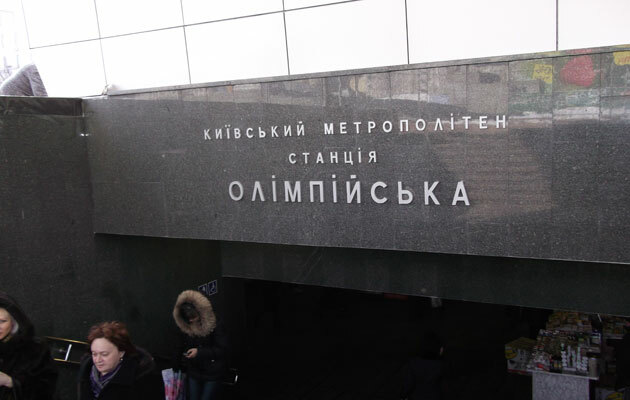 The stadium is set in the city centre with its own metro station, Olimipiyska, right by the main entrance. On the other side of the arena, Palats Sportu, on the green line, is more convenient for sector B behind the north goal. There you will also find the main ticket offices (daily 10am-7pm). For most matches, there are nine categories of prices, ranging from 10hr to 250hr, VIP seats with a standing buffet in Sector A. Places behind the goals cost 20hr (higher tier) and 10hr (lower). A reasonable view is afforded by category 6 or 7 (40hr-60hr) seats, a better one by category 4 (80hr). 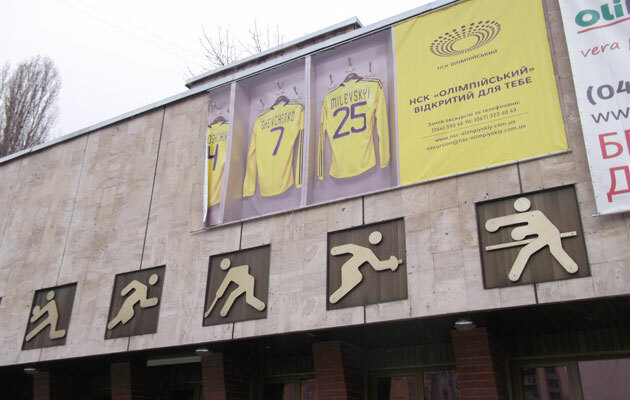 The Magazin FK Dynamo Kyiv right outside the colonnaded main entrance of the Dynamo Stadium suffered damage during the 2013 protests. There are stalls set up around the main entrance of the Olimpiyskiy on match days, and smaller outlet at Kiev’s Boryspil Airport. Bars and restaurants surround this downtown venue. Near the Olimpiyska metro station, on main Velyka Vasylkivska, is the pleasant Copper Pub opposite the local pizza chain of Mafia, which always seems to raise a smile. Up adjoining vulitsa Fizkul’turi, on the south side of the stadium, an unnamed wooden bar with enclosed terrace should provide for undemanding pre-match needs, as should the stand-alone wooden hut, ‘Bistro’, with cheap domestic dishes and a large tap of Slavutych beer, further along. Slight up from that is a modest pizzeria, ‘Express’. Nearer to Palats Sportu metro station, on the corner of Esplanada and Saksaganskovo, the Bavarskiy Dim Piva is a German beer cellar with murals to prove it, plus sports TV and Erdinger on draught. Steak is the speciality. Overlooking the north side of the stadium, a former hotel is now the Imperial casino, Alazani Georgian restaurant and the Se7en nightclub. Don’t be put off: the eaterie is pleasantly rustic. 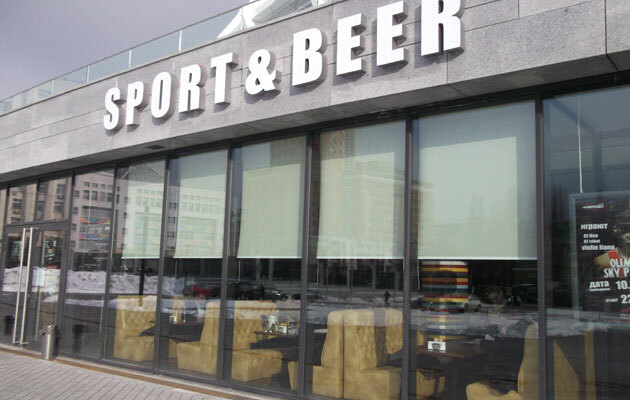 Pride of place should go to the Olimpiyskiy Sport & Beer, a large bar/restaurant near the main entrance. 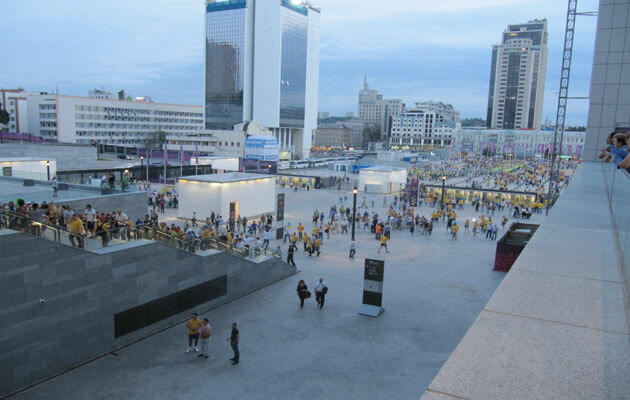 Busy during Euro 2012, it closed during the 2013-14 demonstrations. If reopened, its standard opening hours are 8am-2am Mon-Sat, 11am-2am Sun.